Pimple Remedies : Effective Ways to Get Rid of Pimples Fast! Simple Yet Very Effective Ways to Get Rid of Pimples Fast! 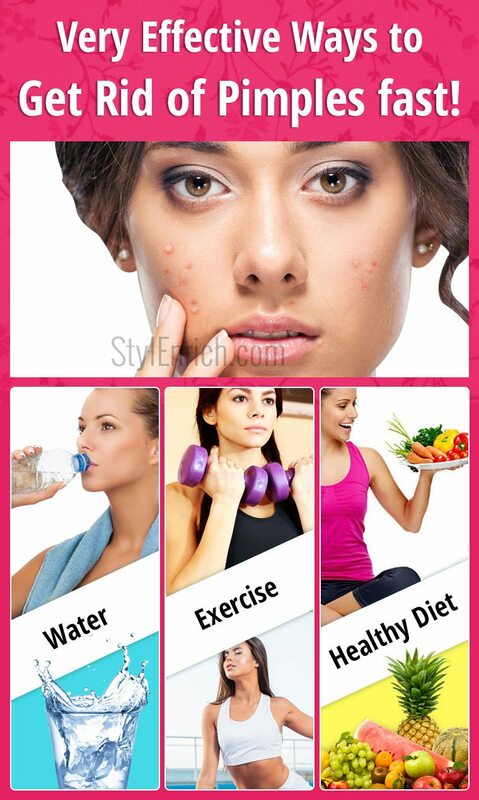 Acne also called as pimples are one of the most common and embarrassing problems faced especially during teenage. Instead of covering them under a makeup coat or ignoring them lets understand what leads to the development of pimples and also how to get rid of pimples fast. Let’s have a look some effective pimple remedies! What is Sebum? This is Where It Starts! Our skin has sebaceous glands which secrete an oily waxy substance called sebum through minute openings in the skin called pores. Sebum forms a coating on the skin, maintains adequate hydration, has antibacterial and anti-fungal properties. Excess production of sebum or clogging of pores due to any reason leads to accumulation of sebum underneath the skin. Accumulation of sebum and dead skin which fails to exfoliate over time leads to inflammation and eventually causes blackheads, whiteheads and manifests as pimples. These glands are also controlled by hormones in the body that are why pimples are usually a problem of the teenagers once they hit puberty. 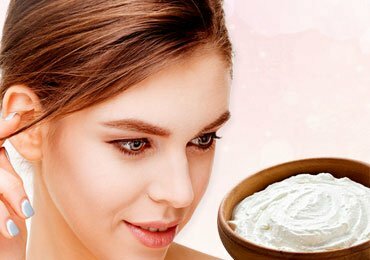 Most people do not know their correct skin type and end up using a dozen products with unsatisfactory results and the cycle continues which lead to more harm than good. To know your skin type wash your face, dab dry it with a soft napkin and leave it for 3-4 hours without applying any cream or moisturizer. Another way would be to check your skin early morning right after waking up. Normal skin has just adequate sebum on their face. Neither excess nor less. They just need to follow the basic skin care protocol. Oily skin will have excess layers of sebum which will give a shiny look. When you wipe your face with your fingers or tissue there will be traces of oil on your hand. Their glands produce more sebum than required by the skin. This skin type is very prone to pimples. If you have an oily skin, wash and clean the face more thoroughly and more often than other skin types. Choose products which are tagged for oily skin especially face wash.
Avoid bombarding your face with creams and moisturizers since the skin already has more than required and any further application would just clog the pores. Weekly application of face masks helps remove excess oil from the face and keep it under control. Dry skin type is exactly the opposite of oily one. Sebum production is inadequate. It looks dry, feels tight and has a flaky whitish appearance. They need to moisturise the skin frequently and adequately to overcome the dryness. Changing weather demands extra care of this skin type. Consume enough water to maintain hydration. Choose face masks which will provide moisture and nourishment to the skin. Combination skin type would give an oily appearance around the T-zone and normal appearance at the remaining face. Most of the people fall under this category. A simple way out should be to give extra attention to the T-zone while taking care of the face. Sensitive skin Also some people have an excessively sensitive skin which needs special care as they are more prone to reactions, allergies, pimples etc. Choose your products wisely and do not experiment as sensitive skin reacts easily with regular products too. When it comes to taking care of the skin and pimple remedies, keeping yourself well hydrated is of utmost importance. Water flushes out toxins from the body, keeps the skin hydrated, and maintains the body temperature. How much water should one drink per day? An approximate idea would be to calculate your height in feet. For e.g. If the height of the person is 5 ft 4 inches, then the person should drink 5.4 litres of water approximately. Wash your face every time you come from outside. The layers of dust, pollution, sweat etc. which forms on the face tend to clog the pores which in turn cause acne. Some people have a constant habit of touching or scratching their face every now and then for e.g.While watching TV, studying or chit chatting on the phone. Never do that. Unknowingly we are spreading oil and dirt from our hands to the facial skin and pores which would further clog them. Apply sunscreen to protect your skin from UV rays and use scarves while traveling to protect your skin from pollution and dirt. Check your skin type as mentioned above and use products accordingly and wisely. An expensive product does not necessarily mean that it will suit your skin. Like aforesaid, sebaceous glands are also controlled by hormones. Changes in the levels of hormones during puberty, pregnancy, stress etc. demands extra care of the skin. People who have irregular menses, PCOS, excess gain or loss in weight in a short span of time should consult a dermatologist as correction of the underlying hormonal cause, if any, would cure the acne problem. Fruits and vegetables especially oranges, tomatoes, papaya, gooseberry, berries etc. contain high levels of anti-oxidants, vitamin B, C and E and minerals which are essential for the skin and makes the skin look more healthy, radiant and glowing. Avoid crash diets, junk food and aerated drinks. If not every day, make sure you exercise at least 5 days a week for 30-45 minutes. Exercise enhances the blood circulation and oxygen supply to the skin, removes toxins and is as good as a natural facial. Pimples proportionately correlate with the levels of stress. It would be a good idea to meditate every day for 10-15 minutes to handle stress and relax in this fast paced competitive world. Also make sure you get adequate night time sleep to rejuvenate your skin, mind, and body. 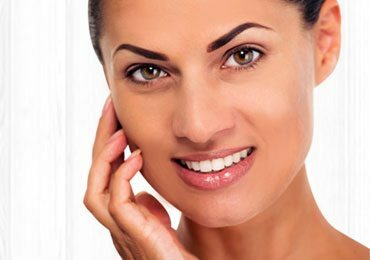 It is often said that facial skin is a reflection of the inner system. 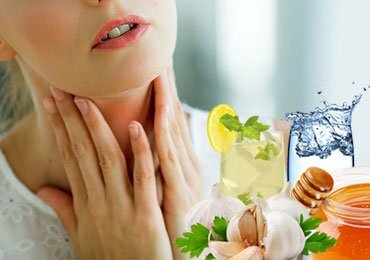 People suffering from acidity, indigestion, constipation are more prone to pimples. They should pay special attention to their eating habits. Simple measures like regularizing and timing your meals, avoiding tea, coffee, smoking, aerated drinks etc. would make a huge difference. Minimize the use of heavy chemical cosmetics as much as you can. Make sure you remove the makeup before sleeping. The best way to remove makeup is by using a cotton ball dipped in coconut oil. Wash your face with a face wash after removal of the makeup. Try to go as organic as you can. What to Do With a Pimple? Wash your face atleast twice daily and more often if required. Apply the mask only over a pimple overnight everynight or every alternate night and wash it off when you wake up in the morning till a pimple goes away. However tempted you are do not scratch a pimple as it will lead to permanent scars. Do not expect sudden changes. Taking care of your skin should be inculcated in your daily routine and not just when a pimple pops up! Avoiding pimples is always better than treating them. Have a happy pimple free glowing skin. 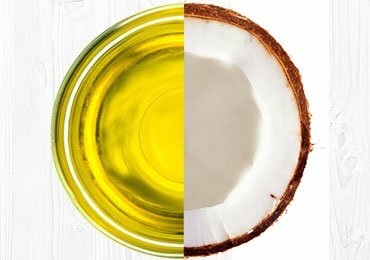 Say Goodbye To Hair Fall With These Coconut Oil Hacks & Benefits! 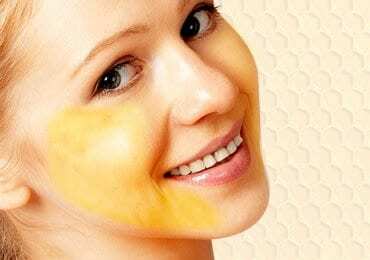 DIY Honey Face Masks to Bring a Glow on Your Face! Homemade Face Masks : Try These DIY Face Masks for Any Skin Problem! 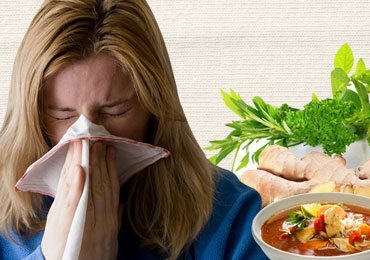 Sore Throat Remedies that Works Like a Charm! 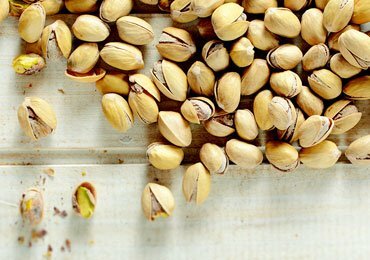 Check What Pistachios Has Got For You? 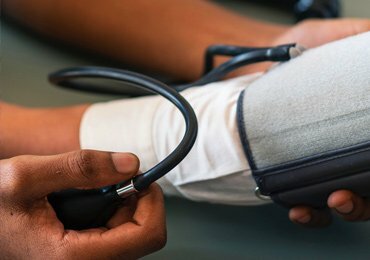 Top 10 Foods That Lower Blood Pressure! 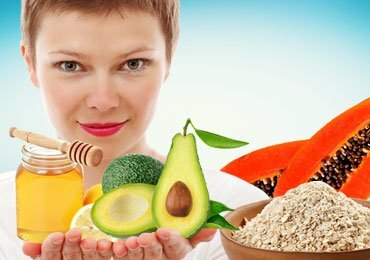 How to Get Rid of Back Acne Using Simple Home Remedies? 7 Amazing Makeup Essentials For A Dusky Girl!